It’s my turn to share a video post on the Spellbinders blog today. Next week it’s all about Edgeabilities on the Spellbinders blog. I thought it would be cool to create Chevron strips with the Ric Rac die from the Classic Edge One die kit. The current CAS-ual Fridays challenge called us to make a masculine card. I think even with the rhinestones I added, this card fits the bill. I hope you have time to check out the card and video. Thanks so much for stopping by! Have a wonderful weekend! 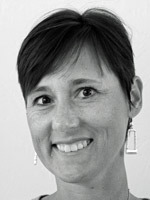 Beate…every time you come up with an idea like this I think, “Now why didn’t I think of that?” Love it! And I love Edgeabilities, too! I left you a comment over there, but this card rocks! 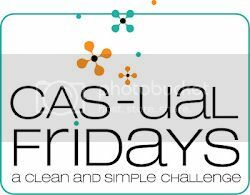 Thanks so much for playing along with us this week at CAS-ual Fridays! very cool masculine card, Beate! love the colors and the fab CAS design! very cute, I love your idea to put them on a strip of cardstock before adding them to the card, your sentiment is too cute hanging from the bling! You are rockin’ the CAS! LOVE the fun colors and the bling 🙂 Thanks for playing with us at CAS-ual Fridays! Hi Beate! I love so much about this card – the chevrons, how you trimmed them, the colors, the bling! Love it! Thanks so much for joining us at CAS-ual Fridays!! !